Valley Countertops Industries of Abbotsford, British Columbia, Canada has been manufacturing quality work surfaces and countertops for Canada, the US and abroad for over 35 years. Relying on timeless traditional craftsmanship, while incorporating the features and benefits provided by the latest of technologies, Valley Countertops is known for completing quality countertop installations for their clients. Whether your project is the kitchen in the heart of your home, a high-rise tower, restaurant or hospital, Valley Countertops has the expertise to make your project fulfill your expectations. VCI Customer Service Representatives (CSRs) are available to serve you Monday to Friday 7:00 am to 3:30 pm Pacific Time. Please see the chart below for the contact information for your area. Use the local phone number, if possible, as this bypasses the switchboard and goes directly to the CSR. If the local number does not work in your store please use the 1-800 number and the applicable extension number for your area. For nearly 70 years, the Marble Institute of America (MIA) has set the standards for workmanship and ethical excellence in the natural stone industry. MIA serves as the international authority on technical information about the use of natural stone products. MIA represents companies around the world that have demonstrated their commitment to superior craftsmanship and to the industry’s best business practices. The Greater Vancouver Home Builders' Association represents the residential construction industry in the Greater Vancouver Area. Dedicated to the professionalism of its members, GVHBA is affiliated with the Canadian Home Builders' Association at both the provincial and national levels. Established in 1974, it is the largest of the 10 local associations in British Columbia with more than 850 members, 8 full-time and 1 part-time staff. VCI is a member of the NKBA. VCI offers products that are NSF certified. Greenguard is another selling feature of Stone Countertops. Silestone, ECO, Dekton, Geos, Corian and the treatment used on Granite have all achieved the highest level of certification from Greenguard which is children and family friendly. What does this mean? Building materials can be a source of VOC’s or volatile organic compounds. These VOC’s are harmful to humans and can cause irritation and sickness if inhaled. VCI offers products that are Greenguard certified. Helping your customer make an informed decision is key to their satisfaction of the products and services they will receive. with the customer will result in increased customer satisfaction. Use the following product comparison chart to help determine what product is most suited to your customer’s needs. Find out what is important to them – color, durability, gloss, feel, seam visibility, chips, uniqueness, etc. Note: Countertops are special order merchandise that are custom made (ie. uniquely altered, color-matched, shaped, sized, or otherwise uniquely designed or fitted to accommodate the requirements of a particular space or environment) and are non-refundable and the purchase price cannot be refunded. a. Based on the product the customer has chosen, use the appropriate article number for entering the measure order. a. Cabinets: Confirm that all cabinetry including any finished end panels will be completely and permanently installed prior to the measure appointment, and all existing countertops will be cleared off for the measure appointment. Note: Tilt-out trays are not compatible with under-mount sink installations. b. Sinks, faucets, brackets and appliances: Confirm that all items that will be mounted into or onto the countertops (such as sinks, faucets, soap dispensers, hot/cold water dispenser, cook tops, brackets, etc.) will be on the job site prior to the measure appointment. Apron and farmer sinks MUST be installed prior to the measure appointment. All cutout sizes will be confirmed at measure appointment. Dishwashers, free-standing stoves and refrigerators are also required to be onsite to confirm measurements. Note: If the above items are not on site as required, or if any changes are made after the measure appointment, another measure appointment will be required and another measure fee will be charged. c. Existing tiles and mirrors on walls: If existing tiles and mirrors are not being used in the new project, they need to be removed prior to the measure appointment; this will ensure a good fit of the countertops to the wall. If the existing tiles and mirrors are being used in the new project, there may be gaps underneath or at the ends of the tiles or mirrors. Incidental damage of existing tiles and mirrors during installation are not the responsibility of VCI or THD. d. Seams: The location of seams that will be required will be discussed and determined at the time of the measure appointment. Remember, all seams in stone countertops are visible. e. Countertop finish (overhang) at sink: If an Undermount sink is being installed in the countertops, the sink edge finish (overhang, flush, or reveal finish) will be discussed and determined at time of the measure appointment. VCI will confirm all details of the job with the customer during the measure appointment. VCI uses sophisticated laser units and programs to accurately measure the cabinets, walls and appliances to ensure accurate sizing of countertops. The digital template (as shown below) provides a considerable amount of detail that is used by the CNC machines that produce the countertops. The customer will be asked to sign off on the digital template confirming all of this information. 1. Layout Process and Slabsmith Software. VCI takes the countertop template that was made at the customer’s home to produce a custom countertop for the customer. VCI uses a sophisticated software called Slabsmith to layout the customer’s countertop on the slab(s) to ensure best look before manufacturing begins. The left hand side of the image below shows two slabs of granite that are cut from the same block of granite but are very different in appearance. The right hand side of the image below shows how VCI uses the Slabsmith software to create pleasing looking countertops even with slabs that vary significantly in appearance from one another. Slabsmith allows VCI to provide a countertop installation with the highest quality in the industry. VCI was the first company in Western Canada to use a Waterjet for stone fabrication. It accurately cuts the countertops to replicate the laser template. This machine also ensures the alignment of the slabs using the Slabsmith layout. The Sawjet is another piece of equipment used in the fabrication process. The saw is used to cut the straight sections of the laser template and the waterjet is used to cut the curved sections of the laser template which allows for an overall faster cutting time. After the countertops are profiled and polished on the CNC machines they move to the hand polishing area. This is where the tops are inspected and any final polishing or touchups are done prior to shipping and installation. Final wall preparation: Application of wall paper or the final coat of paint should be completed after the countertop installation. Please be assured that the upmost care will be exercised during the countertop installation in order to avoid damage to these surfaces; however, due to the large size and heavy nature of countertops, scrapes or dents to nearby surfaces are possible during the placement of the countertops. This is considered incidental damage and repair costs for these items are not covered by VCI or THD and are considered the customer’s responsibility. Existing backsplash, tile, and mirrors on walls: If existing backsplash, tiles and mirrors are being used in the new project, care will be exercised during the countertop installation to avoid damaging these surfaces; however due to the large size and heavy nature of the countertops, damage may occur to these items during the placement of the countertops. This is considered incidental damage and repair costs for these items are not covered by VCI or THD and are considered the customer’s responsibility. Removal of existing countertops, sinks, and cooktops: All these items will need to be removed prior to the installation appointment (unless such removal services have been purchased through THD). If countertop removal has been purchased from THD, then the existing countertops will need to be cleared off, plumbing disconnected (unless plumbing disconnect has been purchased through THD) and cooktops removed. Cabinet Preparation: All sink cabinets, corner cabinets and top shelves of all lower cabinets are to be emptied. All top drawers on lower cabinets need to be removed from the cabinets prior to the installation appointment. Any cabinets resting on the countertops (e.g. appliance garage) need to be removed before the installation appointment. Brackets or Additional Support: Any brackets or supports that are required need to be installed before the installation appointment. Sinks, Faucets and Appliances: All sinks, faucets and integral appliances must be on site at the time of installation to confirm that correct openings are provided. Free-Standing Appliances: Any free-standing appliances (eg. Range, Fridge) need to be removed from the installation area prior to the installation appointment. Customer presence is required during the installation appointment: The customer (or designated decision maker over the age of 18) must be present during the entire installation. After the countertop has been installed, the customer must be present to inspect the countertop and sign the customer approval form that will be provided. Access to Work Area: In order to safely carry countertops to the work area the access to the work area must be clear of snow, ice, debris, or any obstructions. Safety: Due to the large size and heavy nature of the countertops and the use of power tools, customers, children and pets must remain out of the work area. The installers will be wearing appropriate safety equipment (including steel toed boots) and will not use drop cloths on the floor as this may cause a slip hazard. Dust: The process of installing countertops will create some dust. Customers are advised to turn off their air conditioner or any other forced air systems, to prevent the spread of dust to other areas. The customer is also responsible to drape or cover areas of concern to contain the dust to the construction area. The job site will be left in a broom-clean condition. Sink Mounting: Under mount sinks will be mounted to the countertop by the VCI installer once the countertop has been installed. Top mount sinks are not installed by VCI. Reconnection of Plumbing, Electricity and Gas: It is the customer’s responsibility to reconnect the plumbing, gas and electricity through their electrician/plumber. For undermount sinks it is required to wait 24 hours before the reconnection of plumbing. This is to ensure that the sink has completely bonded to the countertop. Additional Charges: Please be aware that additional charges will be incurred for return trips arising from incomplete site readiness, as outlined in Sections 1 and 2 above. VCI is not responsible for damages that occur after installation. Installation Warranty: VCI is responsible for the 1 Year Fabrication (Installation) Warranty (Items covered are sink seals and seams). Service Calls can be arranged at no charge for these items. Only after one year from the date of install, service calls will require a minimum charge (Please see Table 1. VCI Installation Warranty). Material Warranty: the manufacturer is responsible for the multi-year warranty which varies by material (Please see Table 2. Warranty Items Covered). Items not covered by Warranty (Please see Table 3. Items Not Covered by Warranty). Dislodged Pieces (Quartz, Glass etc.) also called "pits". If the concern is not a warranty issue (items listed in Table 3) explain the characteristics of the product. Review the care and maintenance guide for the product chosen. Once the e-mail is received, your regional CSR will investigate the issue and inform your store on the steps being taken to resolve the issue. Most issues are resolved at this level. If an issue becomes escalated it will be brought to VCI Management for resolution. At the end of the day, we all want happy customers! What is the difference between the included eased edge and the upgraded double radius edge? The eased edge is a flat polished edge with no curve on the top or bottom. The Double radius has curves on thetop and bottom either at 3mm or 8mm depending on your aesthetic choice. Double Radius Edges are superior to the eased edge in chipping performance. Does my customer’s sink have to be on site at time of the measure appointment? Yes, we cannot complete the measure appointment unless the sink is on site. The actual physical sink measurements are taken on site to ensure accuracy of the sink hole cutouts. If we attend the customer’s measure appointment and they do not have the sink on site, then we cannot finish the measure appointment. In this case we will request an additional measure fee to return to site to complete the measure appointment. Do the countertops need to be removed prior to the measure appointment? No, the countertops can stay in place for the measure appointment. - What needs to be done before you come to install? - Does the dishwasher have to be removed? - Does the stove need to be moved? - Does the plumbing need to be disconnected? These items will be discussed with the customer at the measure appointment. In most cases the dishwasher does NOT need to be removed however the Stove and Fridge will need to be moved and placed out of the working area for the installation appointment. My customer just chose their sink do they phone VCI with the information? No. Please have the customer take the sink home for their measure appointment. How much is a trip charge for my out of town customers? How far are you willing to go? Trip fees vary. Within 30km from the store is free, 31-100kms cost $1.30/km one way. Additional toll or ferry charges are applicable in some regions. My customer has chosen an apron sink, does this have to be onsite prior to the measure appointment? Apron sinks must be on site and installed in their permanent location BEFORE the measure appointment. Why can’t VCI do the plumbing if the customer is asking for it? VCI offers basic plumbing services that can be done within the sink cabinet in some regions. These items may include sink, faucet and supply line, garburator and dishwasher connections. VCI does not install new dishwashers, water filters, hot water dispensers etc. Why can’t VCI remove tile countertops or splash? Tile countertops are difficult and time consuming to remove. Removal of tile often causes damage to wall and cabinet surfaces which VCI cannot be responsible for repairing. Customer should remove tile on their own or using a contractor trained to do so. How large of a piece can my customer get without a seam? This depends on the material and you will need to ask your CSR. The current maximum size is 117”x54”. Size will be limited by weight and access to the home. Additional charges will apply for tops over 17 square feet. How much overhang can a countertop support without additional brackets? However, at least 70% of the total countertop must be supported by cabinets, an island, knee wall, etc. All overhangs in excess of those previously mentioned will require corbels or brackets that must be installed prior to the field templating. New or existing cabinets must be structurally sound to withstand the weight of the future countertop (Approx. 18lbs/SF for 1 ¼” (3 cm) materials and 11lbs/SF for ¾” (2 cm) materials). Are chips on countertops and the silicone joint between the countertop and sink covered under warranty? year. If the customer would like VCI to re-silicone the countertop to the sink after the one year period VCI will provide this service for a fee. Does the sink have to be on site for measure? Yes, The sink must be on site to verify the measurements of the sinks to the template. Online DXF files must be provided by the sink manufacturer or additional sink template charges will apply. Why does the customer have to pay for a return trip charge when you guys didn’t do the template? If the customer was not prepared for the measure appointment as previously outlined and VCI could not gather all the information required at the measure appointment, the customer will be required to pay for a second measure fee for VCI to return to site to obtain the missing information. Our customer wants you to remove the countertop but they want to keep it. Why don’t you have pricing forthis? Customer doesn’t feel that it’s fair. Removal and Haul away are a single charge in the THD program, this isnot set by VCI. What are my sink mounting options for Undermount sinks? There are overhang, flush and reveal. Note: Not all sinks have all options. It is important to discuss with your VCI representative the pros and cons of each to help make an informed decision. What are Special Handing charges? Special handling charges are incurred when there are items related to an order that are not covered, or included in, the basic Home Depot/VCI Countertop Program. Many of these items can be identified before the site measure, but are more accurately defined at the time of the measure appointment (Inhome Sales Closing Order). Keep in mind that Special Handing fees are charged as “each” and more than one Special Handling fee may be added to an order. What are some situations that trigger Special Handing fees? One or more Special Handling fee(s) will be triggered for countertop pieces that are 17 SF or larger. Large Individual pieces of countertops are difficult to handle in production, crating, shipping and installing. For instance, a 30 SF granite countertop will weigh up to 600 pounds and will require Special handling all the way through the process. There is also a higher likelihood of breaking or damaging a large countertop compared to a smaller top. The number of Special handling charges on an order will be based on the largest countertop piece on that job, and should there be other large countertops on the job, no other Special Handling fees will be added. Special Handling fees can be avoided by adding additional seams, creating countertop pieces that are less than 18 SF. Difficult access to the site will also incur Special handling charges. These could include stairways, lack of direct access to the entry door, elevators, etc. If you have any concerns or question of whether a Special Handling charge will apply to your customer’s job, please contact your VCI CSR. D - DIRECTIONAL pattern seams in countertops and edges will be highly visible. FP - FISSURES AND PITS natural product. Every year we expect to recycle the equivalent of 65 million glass bottles! (iron scrap) and it undergoes a burning process that is highly efficient. Material from bathrooms, dishes, cups, shower pans and defective porcelain tiles. There is no other use for this material - it cannot be incorporated into any other Industrial product. This material is reused in the production of ECO by Cosentino which saves building up tons of waste in landfills year after year. 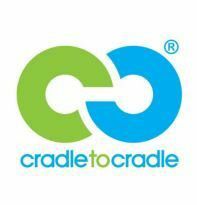 Cradle to Cradle Certification is a multi-attribute eco-label that assesses a product’s safety to humans and the environment and design for future life cycles. Products or materials from any industry that are sold to consumers or other businesses are eligible for certification. Consumers can rely on the certification mark to identify and specify sustainable products for their homes, businesses, and buildings. ECO by Cosentino does not generate any substance that is harmful to the environment. ECO by Cosentino material is deemed safe for direct contact with all types of food. Cosentino plans the ecotogithl efficiency throughout the manufacturing process. Cosentino meets all environmental standards in its production processes. Which includes the product's Life Cycle Analysis, verified by The International EDP Consortium. Chemical, mechanical and thermal high resistance. Ideal material for sustainable buildings id for a variety of uses, (worktops, floors, lls etc.). Recyclable material. Full recycling capability. 11 Colours, adaptable to any design project, both for the home or public use. In addition, they are all available in polished finish and several of them also in matte (Suede). Silestone and ECO by Cosentino are low porous surfaces and therefore highly resistant to everyday domestic stains For regular cleaning of Silestone' or ECO by Cosentino surfaces, Cosentino SA recommends you use Q-Action If Q-Action is not available, water and mild/neutral soap is the best option for regular cleaning. The following are some of the actions to be carried out for stubborn stains that have built up over time. Apply Q-Action to the stain and leave for 2 minutes then gently scrub with a soft scouring pad (normally suplied for ceramic hobs) until it disappears Rinse immediately with water and dry. If 0-Action is not available. use CIF Original Cream in the same way. Do not use on any products (taps, sink. etc) other than the worktop itself as it might damage their finish. For difficult stains, pour 0-Action (or CIF Ongmal Cream) onto the affected area leaving it to act for 2 mins Next gently scrub with a soft scouring pad (for ceramic hobs). nnse with plenty of water and dry. One of the characteristics that makes these surfaces stand out is their high resistance to knocks However. avoid striking areas of the surface that due to the fabrication of design. may be slightly weaker (pointed corners, fine edges. etc ). After using kitchen utensils such as frying parts, saucepans. etc, do not place them directly on the surface Leave them on top of a tablemat (if possible with rubber support) to cool down the reasoning behind this is that the thermal shock caused by the difference in temperature (cold/hot) could damage the surface. This limited warranty covers ECO by Cosentino' surfaces that have been purchased by an Authorized ECO by Cosentino' Installer or Dealer. permanently installed in your residence by an Authorized EGO by Cosentino' Installer and that have been registered with Cosentino North America. This limited warranty covers products that have been maintained according to the ECO by Cosentino' surfaces Care and Maintenance guide provided free of charge at the time of installation. The Care and Maintenance Guide. along with any updates. may also be obtained at viveiv.cosentinowarranty com. You may request additional copies of the Guide from your Cosentino Authorize ECO by Cosentino' Installer or Dealer or from Cosentino North America. This limited warranty does not cover any cracks that occur in the EGO by Cosentino' surfaces more than thirty (30) days after installation Such warranty claims must be made within thirty (30) days of the installation. This limited warranty does not cover cracks that occur from the use of crock pots, skillets or other hot surfaces placed directly on the ECO by Cosentino' surfaces. Caution Do not use crock pots, skillets or other hot items directly on your EEO by Cosentino" surfaces. Always place them on a trivet or cutting board to protect your ECO by Cosentino" from thermal shock. This limited warranty does not cover defects caused by improper fabrication or improper installation. Because ECO by Cosentino" surfaces are made from recycled content, they are subject to variances including but not limited to color, shade, particle structure, pits. fissures, surface irregularities or other variances that may occur in the manufacturing process. These variances are not covered by this warranty. This limited warranty does not cover any additional or supplemental repairs or modifications such as. for example, any plumbing, electrical tile or wall surface modifications that may be necessary to repair or replace the ECO by Cosentino" product covered under this limited warranty; such other repairs and modifications shall be the responsibility of the customer. This limited warranty does not cover uses of products for products exposed to acid etching, abnormal use or conditions, or abuse in any way. 'Abnormal use or conditions' includes, but is not limited to. damage from mishandling or misuse, damage from excessive heat, scorching or uneven exposure to weather conditions, exposure to ultraviolet light, physical or chemical abuse, damage from improper care and maintenance and damage from chipping, cracking, impact damage or breaking due to customer abuse. This limited warranty does not cover products that you, the customer decide you do not like after installation due to color, edging styles or other opinions based on personal preference. GEOS Recycled Glass Surface are durable, earth-friendly and affordable. GEOS is not only beautiful, it is sustainable. Stain, Heat, Burn and Scratch Resistant, with through color. GEOS Sustainable Surfaces are easy to maintain and keep clean. For daily care and maintenance, we recommend wiping the surface with a damp cloth or a mild cleaner such as 409', Fantastik', or comparable cleaning product. The use of bleach or other harsh chemical cleaners is not necessary and Is not recommended. GEOS Sustainable Surfaces are non-porous so there is no need to seal or wax the surface. We do recommend, however, that spills be wiped up as soon as possible just as a matter of practice. In the event of a stubborn stain, we suggest soaking the stain with a mild cleaner combined with gentle scrubbing with a nonabrasive pad such as Scotch Brite®. Over the last decade, more and more companies strive to protect the environment in which we live. GEOS Sustainable Surfaces is the first recycled glass surface to combine an environmental focus with a product that is durable, easy to maintain and aesthetically pleasing. The majority of recycled glass surfaces are made using concrete, making them porous. Over time, what was once a beautiful investment will be full of etches and stains if not properly maintained by sealing and waxing at least once every year. GEOS Sustainable Surfaces are non-porous and practically maintenance free, never requiring the need to be sealed or waxed. Backed by a 10-year warranty, GEOS Sustainable Surfaces is a choice you can live with. EOS warrants through the fabricator to the original owners of installed GEOS products for a period of fifteen (15) years from the date of installation that the GEOS material will be free from manufacturing defects. If a manufacturing defect occurs during the warranty period, EOS will, at its option, replace the defective EOS products at no cost to the end user. The fabricator of the countertops reserves the right to repair the defect in a workmanlike manner should they judge that the material is repairable. Igneous rock formed through the cooling and solidification of magma or lava!! Mechanical Resistance –The treatment (impregnator) penetrates into the granite surface and is anchored to the material by a chemical bond that cannot be rubbed off. UV Stability – The treated Granite is suitable for indoor or outdoor application. Optical Appearance – The treated Granite’s natural stone color and beauty is not changed by this colorless treatment. Warranty – The benefits of this treatment allow VCI to provide an extended 15 year limited stain warranty without the countertop surfaces needing to be retreated. There is an urban legend that suggests granite countertops can emit harmful levels of radon or radiation. It's just not true. Radon is a naturally occurring radioactive gas found all around us. In fact, other things routinely found in a home tend to emit radiation, including concrete blocks, smoke detectors, television sets, Brazil nuts and even bananas and potatoes. Don't worry, though, they are no more harmful than granite countertops. Where Can I Get the Facts? The Marble Institute of America has a library of information about radon and radiation in granite countertops. Why is HD Granite Unique? These 4 slabs are Bianco Antico, this is an exotic stone from Brazil formed millions of years ago, and it contains mainly Mica, Feldspar and Quartz. Mica is the softest mineral in granite and does not shine to a gloss, quartz and feldspar are the hardest and are very glossy. In lower concentrations, there are other minerals that contribute to the color variations in the granite slab. You may be shocked to know these are all Bianco Antico, they all come from the same stone quarry and are all acceptable at installation. If this level of variation is unacceptable make sure to buy a manufactured product like Quartz, Eco, Geos or Corian. Intercrystalineboundaries are another feature that should be explained to customers. You can see here two minerals (quartz and feldspar) intersecting. These minerals never fully bond and means there is a physical separation between them. These images show resin fill, resin fill is a process in which a bucket of clear resin is pored over an entire slab to fill voids. This is done before polishing, once cured the slab is sent through the polishing equipment. When complete the resin will never be as glossy as the quartz and feldspar in the countertop. These images show fissures in granite. Sometimes these fissures occur along Intercrystaline boundaries, and sometime as in this case they are inherent in the mineral. In the left image you can see how the fissures run horizontally and vertically, the entire way through the slab. There is no way to cut around fissures. If the fissure happens to open up in transport or during the installation VCI will repair the separation by using a high quality resin. This is not considered a defect or warrant replacement. Granite slabs are not perfect (as they are natural stone) but rather come with imperfections. Repairs to these imperfections are done prior to installation and at the time of installation. Repairs are part of a natural granite countertop and are not considered a defect and do not warrant replacement. It is important to remember that granite is composed of many different minerals. Some of these minerals may oxidize such as copper or iron. When these types of minerals oxidize they can turn an area of the stone a blue green or rust color. This does not happen often but it is important to know that when it does it is not covered under warranty. Regular Care and Maintenance: On a daily basis clean the counter top with warm water and a few drops of dish soap or antibacterial soap using a soft cloth. Do not clean with Vinegar by itself as it will not breakdown grease and could potentially cause the grease to absorb into your countertops. 1.If you spill something on your counter top, blot with a paper towel or soft cloth immediately. Do not wipe the area as this can spread the spill. 2. Wash the spill with warm water and dish soap and rinse thoroughly. 3. Dry the area with a soft cloth. Stubborn Stains (Alcohol and Oil): Granite is a porous material and is treated to resist stains when properly cleaned and maintained. Alcohol, Oil, alcohol and oil based products if left on the countertop surface can penetrate into the pores of the granite even if the countertop has been treated. If this occurs, poultices can be used to help remove the stain. However, this could require multiple applications when trying to remove the stain and may not always remove the stain completely. If you spill any of these substances on the countertop blot the area with a paper towel immediately. Do not wipe the area as this can spread the spill. Wash with warm water, dish soap and rinse thoroughly. Reaction to Heat: Extreme temperature changes (hot or cold) may harm your granite countertop. Direct heat from pots placed on countertops may cause the granite to discolor and/or crack - always use a trivet when placing hot pots or heat generating appliances directly on the countertop. Reaction to Abrasion, Extreme Weight and Impact: Granite countertops are scratch resistant, but they are not scratch-proof. Avoid using knives directly on the surface. Always use a cutting board placed on top of the countertop to avoid damage. Also use trivets or mats under ceramic objects that can scratch the surface. Granite countertops can also be damaged when subjected to extreme weight or when forcefully hit with objects. Do not stand, sit or drop any objects on your counter tops. Your Custom Natural Granite Countertop has been treated with an impregnator and does not require any further sealing. For a period of fifteen (15) years from the date of installation, the vendor warrants to the original owner that their Home Depot® Custom Natural Granite Countertops will remain stain resistant to common non-acidic food and beverages (liquids). If a stain occurs within the warranty period, The Home Depot® vendor will, at its option, assist with a repair, repair or replace the stained granite. The end user must present the Original Proof of Purchase at the time of making a warranty claim. M - High MAINTENANCE color. Shows fingerprints, watermarks, and inconsistent sheen throughout the countertops. P - PITTING overtime some of these pieces may become dislodged and separate from the countertop. This is due to the large pieces of recycled glass within the material. This is not considered a defect and is not covered under material warranty. Each sink manufacturer has specified sink mounting options for each of their sinks. They fall into 3 categories: Overhung, Flush and Reveal. VCI will only provide the mounting options that the manufacturer has specified for the sink that has been chosen. What makes Corian ® an Eco-Friendly Product? December 1, 2011: All DuPont™ global manufacturing sites became functioning as zones of “zero waste” – meaning absolutely no waste is being sent into landfills. What makes Corian® an Eco-Friendly Product? Corian® is Class I (Class A) Fire Rated. In a fire situation, Corian® is clean burning producing an insignificant amount of smoke. Non-toxic and non-allergenic to humans – pigments used are FDA listed and free of toxins, heavy metals or carcinogenic materials. ALL seams will be visibly obvious and that this outcome is not covered by any warranty as it is not considered to be a product defect. To clean, simply use warm soapy water or a mild household cleaner. Protect the countertop from direct heat sources by using trivets. Do not cut directly on the product. Always use cutting boards. Deeper cuts or nicks can be repaired by a DuPont™ Certified Fabricator. Difficult stains sit on the surface and do not penetrate. They can be removed with a moistened 3M Scotch Brite ® pad (green) or any abrasive cleaner such as Ajax, VIM or Comet. Homeowner must have original receipt in order to activate a warranty claim. This warranty applies to the original owner only and is not transferable. What is Ultra Compact Surfacing? Ultracompact surfacing employs sintering, a high-tech process which represents an accelerated version of the metamorphic change that natural stone undergoes when subjected to high temperatures and pressure over thousands of years. Ultra-compact surfacing perfects what Mother Nature creates in millions of years in a fraction of the time. We are essentially speeding up the metamorphic process. Due to its practically zero porosity, the ultra-compact Dekton' surface is highly resistant to staining in day-to-day use and from chemical products, making it ideal for use as a kitchen worktop and as a surface for other kinds of work, both inside and out. For general cleaning, Cosentino recommends the use of Q-Action with a sponge or scouring pad. If this product is not available, the best option is to use a neutral soap and water. In the case of aggressive stains, either from products that are resistant to normal cleaning agents or because they have remained on the work surface without being removed, we recommend using more specific products such as: cream detergents with abrasive particles or solvents (acetone or universal solvent type). The accompanying table shows the various types of stains with their corresponding cleaning products. For the warranty to take effect, the user must produce proof of purchase.